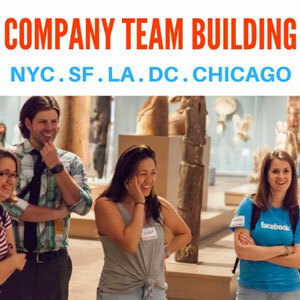 Maximize Employee Retention, Productivity & Happiness We host company team building events at the world’s best museums. NYC, San Francisco, Chicago, Washington DC & Los Angeles. Includes fun activities, group photos and more. Rated top 10 on TripAdvisor by companies like Google, Facebook, Etsy, Adobe & Oracle. The simple design and low cost, of course, made them quite hackable. In 1989, the amateur radio-focused 73 Magazine wrote a cover story titled “Flavorig! "—a tale of how to turn the cheap device into a CW (Continuous Wave) transceiver, a common mode of ham radio communication associated with Morse Code. “It wasn't fantastic (there was an awful lot of spectrum crammed into the 180 degree rotation of the tuning knob), but it worked well enough to bring in a surprising number of broadcasts, and exhibited an amazing ability to select a single signal out of a big pile of stations all lumped together,” Patrick Innes wrote on his Earthlink site in 2001. — A 1984 article in PC Magazine describing the Executive Decision Maker, a gimmicky product that reminds folks that RadioShack, when it wanted to, could take on The Sharper Image toe-to-toe. The device, up for auction here basically relies on a series of LED lights that float around and land on a series of six options—an approach which can be seen in action here. 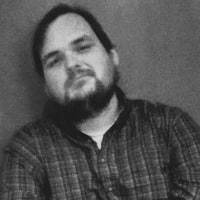 The TRS-80 Model 100 and the Tandy 102 computers were never particularly powerful machines—just small ones, ones that spoke to what would prove to be an important trend in the long run. Based off of the company’s better-known TRS-80 desktop computer, the devices came about in the late ‘80s as a way to write simple programs and quick text files. 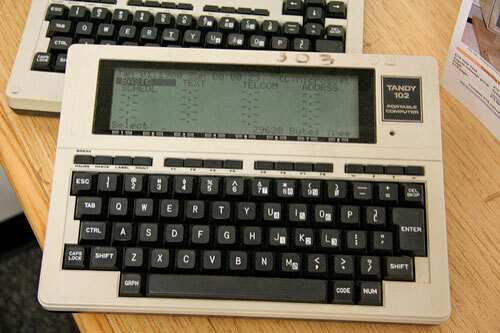 Despite its design looking closer to a portable typewriter than a laptop—and despite the device basically being a svelte version of the TRS-80 Model 100—the Tandy 102 earned positive notices, with the New York Times recommending the machine to college students as a note-taking device. The device was also said to be popular with journalists in the pre-laptop era. A review from InfoWorld’s Mark Stephens suggested the device was much more useful than a similar portable product from Atari, the Portfolio pocket PC. But the problem was that the device never really evolved all that much after its original release. The 102 shifted the form factor of the 100, but didn't push things forward enough to ensure the platform’s long-term success. 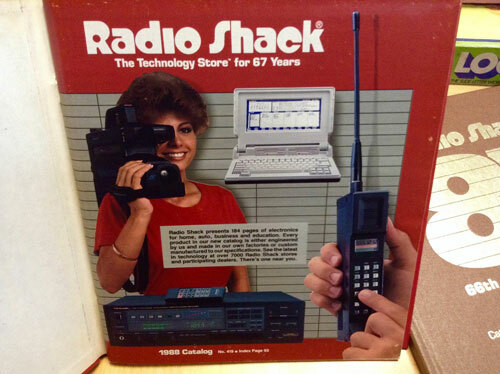 An array of the company’s catalogs, which highlight the company’s formidable product lines over the years, are available in the auction—though if you don't want to bid, the website RadioShack Catalogs faithfully recreates most of them. A variety of art pieces that you can imagine hanging around the company’s offices, many of which are artistic takes on coffee cups. There are a lot of random coffee cup paintings in this auction. I'm not kidding. Jeff Hawkins‘ fingerprints are all over the modern computing industry—literally. The founder of Palm Computing and Handspring was responsible for creating two devices—the PalmPilot and Treo, respectively—that defined the modern audience for touchscreen computing, even if that audience isn't actually using the Palm platform today. 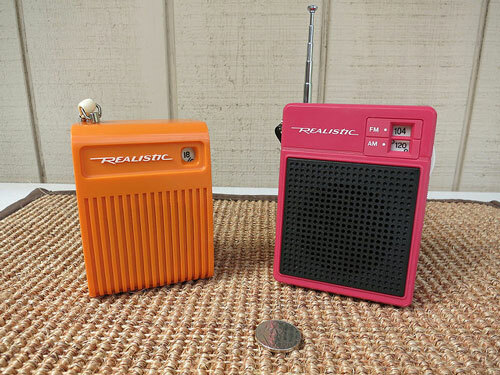 And, as highlighted by two items in the RadioShack auction, he wouldn't have gotten where he was without the retail chain. The GRiDPad, a device formulated by Hawkins in 1989 for GRiD Systems Corporation. GRiD was an important early company for portable computing, with its GRiD Compass 1000, an early clamshell-based laptop, showing up on the Space Shuttle in 1985. But by the late ‘80s, the firm had been picked up by Tandy, which meant that the GRiDPad had a place in RadioShack’s history. “This is not a laptop; it’s a new tool entirely,” GRiD marketing manager Kenneth Dulaney told Computerworld of the device in 1989. 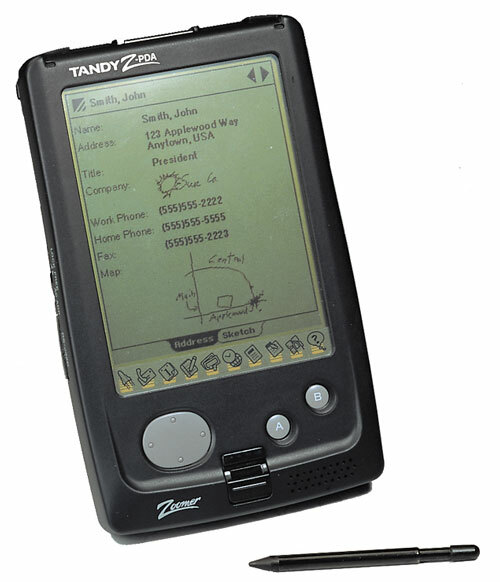 While Hawkins couldn't get GRiD on board, Tandy did see the value of the Zoomer idea, which became Palm Computing’s first product. The device was built on the GeoWorks operating system, manufactured by Casio, and marketed by Tandy. Unfortunately, the public wasn't so convinced. Being very early to market, its hand recognition wasn't good, it was way too slow, and its sales were anemic, with the device selling just 10,000 units in its first few months of release. But Hawkins learned something important that helped make his follow-ups more successful. Hawkins‘ takeaways from this process became the base of the PalmPilot, and while RadioShack and Tandy weren't involved in that, it likely wouldn't have come to being without them. In an era when NewEgg, MassDrop, and Amazon can happily cater to tinkerers without putting on a song and dance for mainstream computer users, it suddenly strips the value from RadioShack’s basic idea. Considering the deep history hiding in this auction, that’s a damn shame. Editor's note: This piece first appeared in Motherboard, which often syndicates Tedium articles after the fact. We flipped the order this time.